Luke 1977 Men's Billy Biggles fleece collared flying jacket. 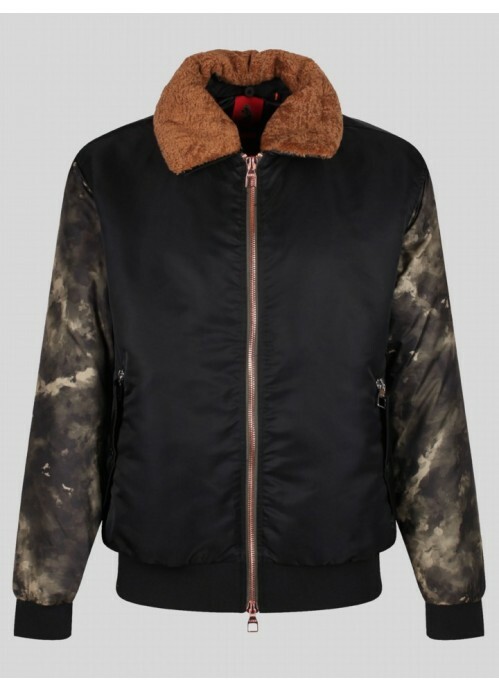 Contrast smokey camo sleeves and double ended zip. A great statement piece for this season. 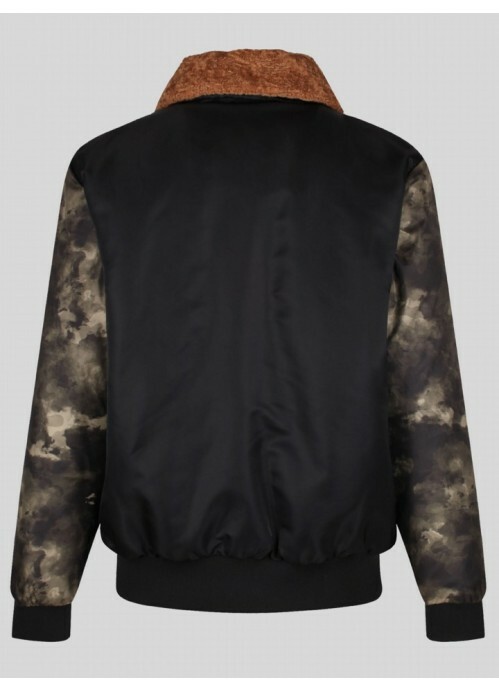 • Men's designer contrast camo sleeve and black flying jacket. • Zip pockets on front.